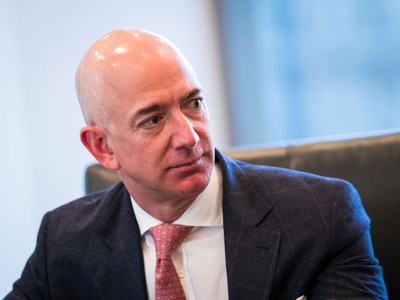 AmazonCEO Jeff Bezos has seen his company grow into one of the world’s biggest companies. In the 24 years since Amazon was founded, CEO Jeff Bezos has seen his company grow from a modest online bookshop to one of the most valuable companies in the world. Back in 1997, Bezos was already expecting big things out of his young company. In his annual letter to Amazon shareholders, Bezos described how much effort he expected from his employees. “When I interview people I tell them, ‘You can work long, hard, or smart, but at Amazon.com you can’t choose two out of three,”Bezos wrote in the 1997 letter. The New York Times reported in 2015 exactly how bruising the work environment at Amazon could be. Employees were reportedly expected to routinely work late, were encouraged to criticise coworkers’ ideas at meetings, and were often found crying at their desks. Amazon disputed many of the claims in the Times investigation, though the newspaper defended its reporting. Bezos acknowledged his high standards in that 1997 shareholders letter, which he now republishes annually.